In ancient Chinese culture, the folding fan (shan) was a very versatile implement. It could be a practical cooling tool, a decorative accessory, a signifier of status, a piece of artwork and, of particular interest to wushu practitioners. The Tai Chi Sword routine come from its history as a martial art and a health practice. 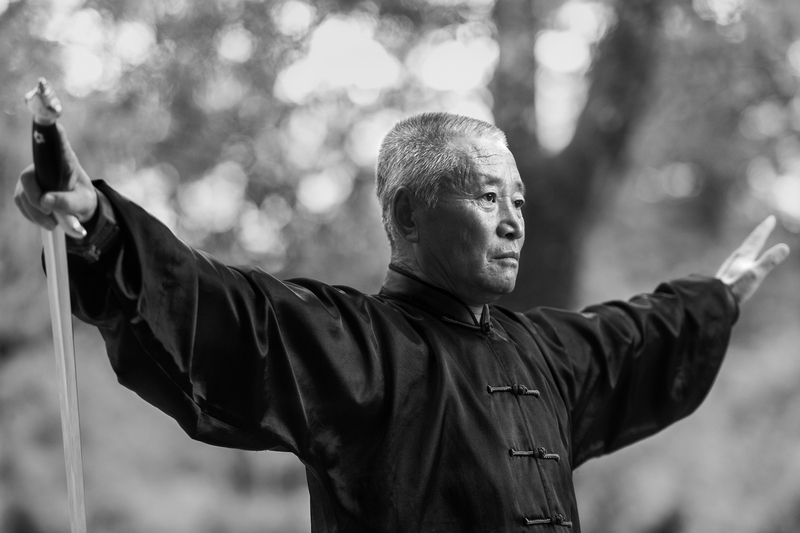 In the hands of a trained practitioner, tai chi sword forms are a study in grace and beauty, but the underlying power within the shimmering movements of the sword cannot be disguised. The straight sword is usually adorned with a coloured tassel hanging from the pommel at the end of the hilt; not just for decoration, the tassel can be used to distract an opponent, or even blind them. The grace , power and intention in all movements are crucial to understand energy and purpose of each stance. It was a honor and pleasure to do this series.